Here is another Bowmore from the edge of the danger zone. There is no great tension in this preamble though as I’ve had it before and know it doesn’t have any of the dreaded soapy or perfumey notes that ran riot at Bowmore in the 1980s. 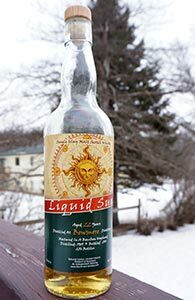 This was bottled by Liquid Sun, which I believe is just another imprint of the Whisky Agency (the well-known German indie outfit). As to whether there’s some method to what goes under the main imprint and what goes under the Liquid Sun imprint, I don’t know–it may just be a way of getting large numbers of releases to stand out in the marketplace.